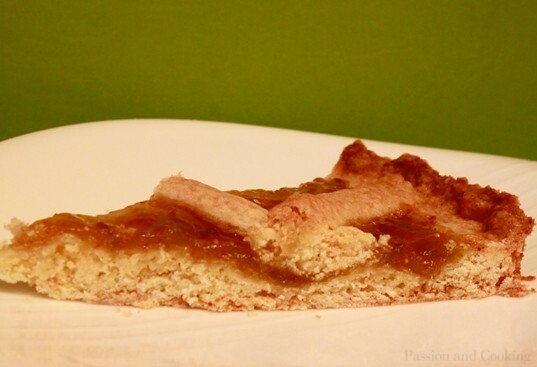 … The crostata is perhaps the oldest Italian dessert. 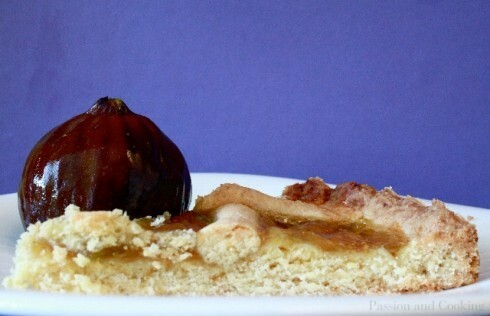 A popular tradition traces the origin of this Italian pie to the ancient Romans. This is the first kind of baked dessert that, as little girl, I learned to make from my mother. It evokes memories of many happy hours spent with her in the kitchen preparing delicious food. This Italian version of an American pie can be prepared by using different ingredients such as jam, fresh fruit, ricotta cheese, chocolate (kids love a Crostata di Nutella) and pudding. It can satisfy a wide variety of palates! In Italy, it is not only eaten as a dessert, but often for breakfast too, with a hot cup of espresso or capuccino, or with tea in the afternoon. 4. Bake the crostata until golden, about 35-40 minutes. Unmold the pie as soon as it is ready and let it cool on a rack. If left in the pan it will turn irremediably soggy. It is great freshly baked but it definitely improves after a day if kept in a closed container. I love hearing about when you cooked with your mother! Great photo!! Thank you! It is delicious too, one of my favourite pies! Hi Paola, I got your link from my dear friend Lorenza, who knows I love to cook, especially Italian. I enjoyed reading your blog and will make a couple recipes this week. I live in the US and will get my friends to read it as well. I love your idea of doing this. Congrats and much success!!! Can’t wait for the next blog. Hi Teresa, Thanks for your nice comment. I am glad you like my recipes and that you plan to make some of them. Please let me know how they come out. It will be really helpful to know if you have problems finding Italian ingridients. Hi Paola, I did indeed do a couple of recipes this weekend. You recipes are very precise and informative and I love the pictures. You and your sister are doing a great job. Keep it coming, I send your blog to my friends who are also trying the recipes. I did the crostata and it turned out beautifully. I served it as a dessert Friday night and loved it with my coffee on the weekend. Great suggestion, can’t wait to make it for my guests at Thanksgiving. I also made the desert rose cookies. What a hit with my family!!! I froze a few and will have them during the week for the kids. In fact I am forwarding these recipes to my sister in Poland. I love the measurements both in grams and ounces/cups. Very helpful. No problem finding ingredients and I can’t wait to try the risotto. It sounds similar to the one Lorenza taught me. Keep coming with new recipes, how exciting! !